Thank you to underatopazsky for letting us share her post today! We really enjoyed reading about her beachcombing trip to Southwold, England. 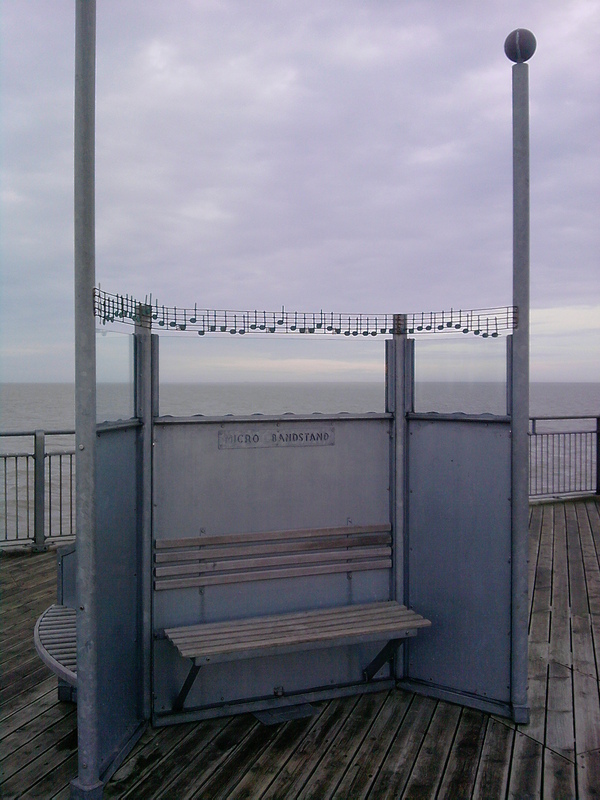 We spent the Bank Holiday with my parents in East Suffolk and one day we took the girls down the coast to the little town of Southwold to visit Southwold Pier. It’s gorgeous to visit – fabulous places to eat, quirky things to see and buy and best of all, great beachcombing! The soft East Anglian coast between Southwold and Lowestoft to the north is eroding rapidly and the debris of roads, houses etc that have fallen into the sea inevitably wash up further down the coast. My 14yr old picked up an interesting piece of what looked like conglomerate which actually turned out to be an unmistakeable lump of tarmac! This entry was posted on May 17, 2012 at 6:44 AM	and is filed under Amusement Piers, Beach Treasures - Beachcombing, Beaches of Great Britain and Ireland. Tagged: beachcombing, collecting beach glass, collecting sea glass, East Anglian Coast England beachcombing, Southwold England beachcombing, Southwold Pier. You can follow any responses to this entry through the RSS 2.0 feed. You can leave a response, or trackback from your own site. Beachcombing in Southwold will definately be on my itinerary for the driving & walking tour of Great Britain! …Someday!